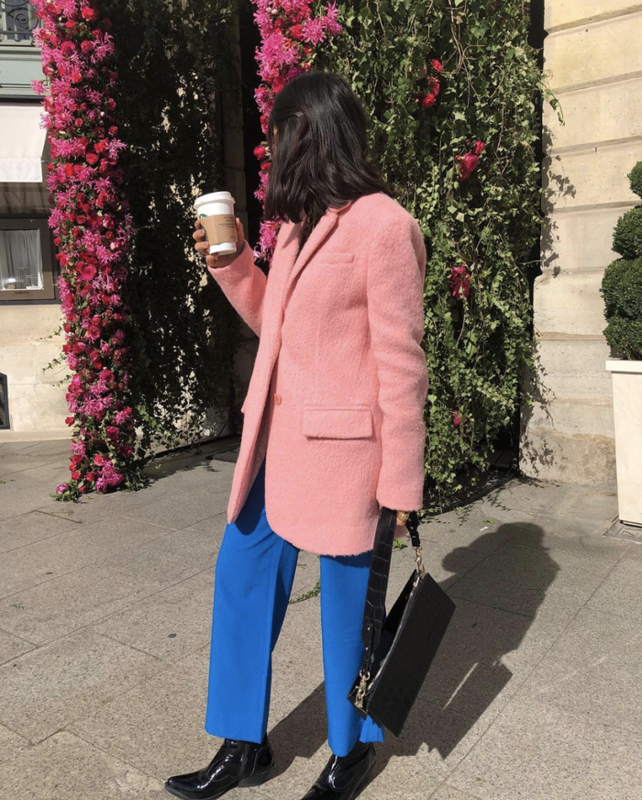 From the candy-colored Saks Potts coats you’ve seen all over Instagram to nostalgic trends like tie-dye, the fashion world is clearly obsessed with head-turning hues. One enduring color trend that doesn’t seem to be losing steam? Millennial Pink. That said, finding colors that go with rosy shades can be tricky. Luckily our favorite fashion girls have already been test-driving a handful of shades that will go perfectly with the It hue. Below, we’ve rounded up the most popular colors to wear with pink this year. Scroll down to see them all. Style Tip: Opt for a vibrant royal blue when you want an ensemble that pops. For the softer looks, go for a light powdery shade instead. A chiffon blouse is always perfect for the office. A baby-blue jacket will be the perfect outer layer for spring. Style Tip: A deep, warm neutral will act as an unexpected contrast from your bright pink clothes. 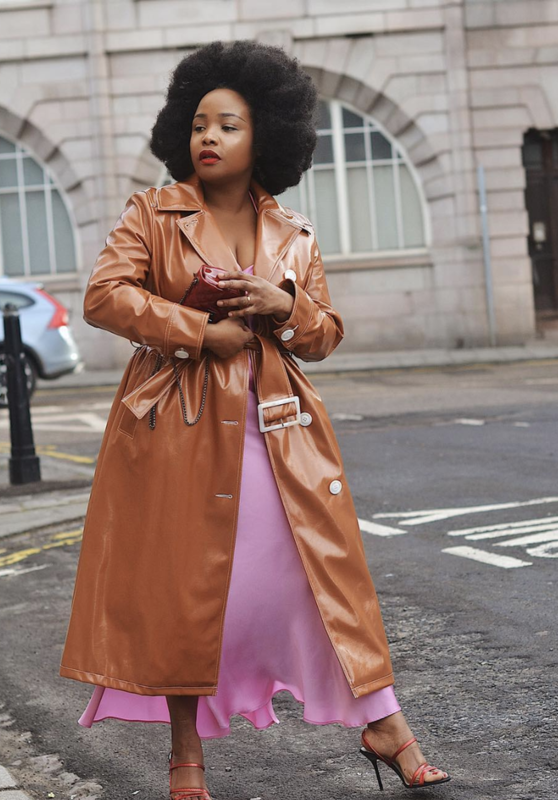 We love Ada's patent brown coat. Bundle up in this warm wool coat. Swap our your standard black trousers in favor of this cool brown pair. This is the easiest way to pull off the croc print. Style Tip: Pink and green will always go well together, but lime will give your spring ensembles an extra punch. Maryam Nassir Zadeh always comes out with the coolest pieces. You'll get so many compliments on this fuzzy mohair cardigan. Style Tip: Sporting orange with your pink will give you a cool tonal appearance. A tangerine sweater will brighten up any ensemble. A ribbed knit dress is so flattering. Now this is how you stand out in the winter weather. Style Tip: Simply classic. You can never go wrong wearing white with pink. The texture of this top is everything. A classic white tee will always be a good option. These linen pants are essential for your next vacation. Style Tip: Nothing says spring quite like wearing bright and warm hues such as yellow and pink. Plus, the combination will be so eye-catching. No, we're not over pajama dressing yet. A butter-yellow skirt like this is a must for warmer days. Your leather jacket just got cooler. If you can't get enough pink, check out these chic outfits.